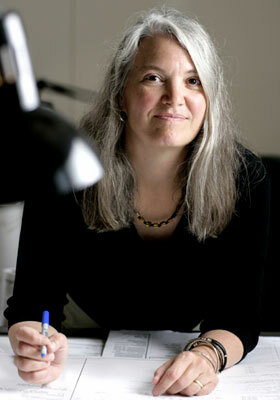 Our pal Tami at Pacific NW Cheese says that it's Seattle Cheese Festival time. "If you go, you are guaranteed a complete cheese experience...there will be seminars about cheese. There will be cheese tasting booths as far as the eye can see, featuring local cheeses as well as cheeses from around the world. For the more cooking inclined, there will be chef demos. Want to try your own hand with cheese? The grilled cheese contest deadline is May 1st, and the winner will demo their own recipe at the festival. For the home cheese experimenters, there will be mozzarella making demos by the staff at DeLaurenti Speciality Food and Wine. You can also expect kids' events, wine tastings and more." 'Nuff said! Details: Seattle Cheese Festival. May 16-17. Pike Place Market, Seattle. For more in-depth info about the festival including an event schedule and to register for seminars, see the SCF website. If you, like my husband, think that beer is the perfect food, then this is the festival for you because not only is it all beer it's all organic, which makes it practically good for you, too! The North American Organic Brewers Festival, which last year gathered more than 75 beers under its tent flaps, benefits the Leukemia & Lymphoma Society, the Oregon Food Bank and Oregon Tilth. Details: North American Organic Brewers Festival. June 26-28; Noon-9 pm Fri.-Sat., noon-5 pm Sun. ; free with $6 for tasting glass, $1 per taste. Overlook Park, 1301 N Fremont St. 503-730-5597. Last Saturday morning, as usual, we were reading the paper and listening to NPR's Scott Simon when who should we hear but Thomas Lauderdale of our own Pink Martini. 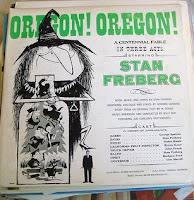 He was talking about some wacky radio show that comedian Stan Freberg wrote for Oregon's centennial celebration in 1959. Titled "Oregon! Oregon! A Centennial Fable in Three Acts," it was pressed into vinyl and promptly forgotten. Recently retrieved, revived and rewritten by Freberg and Pink Martini, it will tour the state as part of the Oregon's Sesquicentennial celebration and have four performances around the state in August and September 2009. No dates have yet been set, but you can listen to the original 21-minute performance and start memorizing the words. And stay tuned for details. Fabulous! What a terrific intro to the state. Hope you weren't too disappointed when you actually got here. And hang onto those records...they might be worth something!